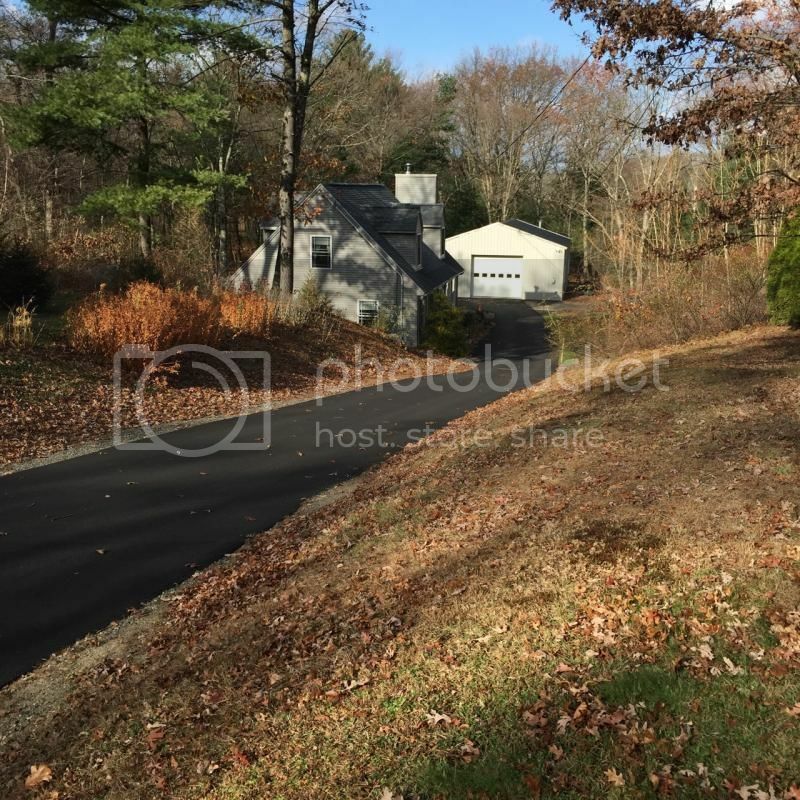 Hey guys buying a house with a driveway finally. I need a good suggestion on snow lowers. Thinking ariens pro series but are they worth it?? I can't argue with Noel. I've used an Ariens for ~10 years without significant problem. (I've replaced sheer bolts, nothing else). Ariens. Hondas are nice but...... you can get Ariens parts everywhere. Ariens are simple machines not nearly as conplex as Hondas. My first Ariens was built in 1973. I bought it used for 150 used it for 18 years and sold it for 150 when I bought a new, bigger Ariens 28 Deluxe. I fully expect the new machine to be a durable as the first. I had an Ariens. It is a fine choice. I have a cheap Lowes brand now. It gets the job done just fine for less. I think for the usage most of us residential types throw at these machines, just about anything will do. Service the machine, tighten the chassis bolts every now and then, and keep a spare belt and bunch of shear pins on hand. Doing it over again, I'd buy used. I had good luck with an old JD from CL, I was able to sell it 2yrs later for $50 more than I bought it for too. I think a simple design with heavy duty construction is the way to go. I have two Pro series. In general you want the most torque possible and they have more powerful engines. Ariens also has hydrostatic models to compete with Honda. If you live on a big street with a big EOD pile, hydrostatic drive is a big plus. Otherwise I'd spend the money on Torque. Friction disks work well most of the time. I believe some of the Platinum and other series have steel gearboxes. But I've owned aluminum gearbox models as well (1998 ST824) And had no problem. They usually fail after all the lube leaks out. Last edited by Garandman; 12-07-14 at 08:35 AM. one thing I'd keep in my mind which I thought I'd never think was worth while was the electric hand warmers/ grips that came with my Yardman( MTD) its actually very useful , but then again i have decent sized driveway/ sidewalk to keep clean. My Ariens came without heated grip but they were available as an add on accessory. They make a difference in comfort for sure. BTW for a few years John Deere snowblowers were made by Ariens. If you're into antiques, look for an old Gilson. Their gearcase is the same one they used in their roto-tillers! Any brand that is track drive. Most brands are made by MTD (craftsman, cub cadet, etc). Just rebadged. I was given a used track drive cub cadet 826 machine. Tossed on a $24 carb and it fired up third pull. Used it for the big t-day storm. 18" of heavy wet stuff. It didn't flinch at it. Track drive means no input to the bars by me including climbing grassy hills. No digging into the ground, no riding up and over the snow. Putting new drive chains, belts and friction disc on it today. Total investment, ~$100. Working on it is easy. Sure beats the huge money to buy one new. The designs/mechanics haven't changed in 25 years. The motors are bullet proof and replacement carbs are cheap in case of a clog. Belts are cheap, as are bearings. Hondas are the Ducatis of the snowblower world. Except more reliable. But lots of $$$ for resulting use. ARiens are sometimes cheaper, but still stout and solid. Track drive wins all. Even doing flat smooth pavement. Less physical work by you to run one. More complex and slightly more to go wrong, but still worth it IMO. Here I disagree, but I quess that's what makes the world go 'round. Lol. Track drive has a lot of points for failure. Almost impossible to move without the engine running. If it takes so much effort to move the machine imagine the power lost to the drive system that could otherwise be moving snow.I will conceede that track drive machines excell at digging into snow banks rather than riding over them. My new Ariens (wheel drive) has much more forward weight bias than my old one. +1 for Ariens. love mine. ~10 seasons of trouble-free use. decent length driveway and i use it to clear a side yard for my dogs as well. multi-hour sessions on pavement and grass. i'm just below Mt WaWa so we get decent accumulation here. only thing i've done to the machine is change the oil, one shear pin and just doing belts this season. very low maintenance. I read a lot of good reviews about it, the price is decent and it has some nice features that my old Ariens didn't. I have Husqvarna's largest backpack blower they make and unless the snow is super light (which is rare), it's not worth the effort. You may have a chance with a large walk-behnind style blower. A snow broom and/or shovel make quick work of light snow. A leaf blower sound like too much hassle. I doubt it'd do much if the snow was wet. if it's light enough, i use my RedMax to clear the deck.. .
Where did your head go? What brand snowblower is "plow on a 4wheeler"? Yeah, I was thinking a garden tractor with a plow or blower would be a much better option than a snowblower. That is a long driveway. I used to have to plow a driveway like that, and a Cub Cadet tractor with a plow still took some time. A 32" snowblower would take forever with a bit of snow! Page generated in 0.137 seconds with 16 queries.